It’s been a few weeks now since the passing of HB770, or more widely known as the Hawaii Growler Law. When I announced the potential new law and its signing into law by the governor there was a ton of fan fair. 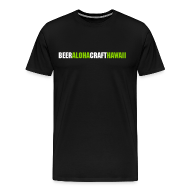 Hawaii beer fans rejoiced and flooded the Beer In Hawaii Facebook post with dozens of happy comments. Finally residents of Hawaii will be able to fill growlers with beer from any tap handle at any participating bar or restaurant, not just brewpubs and breweries was the general response. The new law seemed like a huge step forward for consumers in Hawaii and it might prove to be one, but new things take some time to get going. Now remember, Hawaii residents have been able to fill growlers at breweries and brewpubs for many years. This new law added the ability for those breweries to fill growlers with beer other than their own. A small advance for breweries, but not really a huge leap considering that most breweries want to sell their own beer because they make more money on it. The other major addition of HB770 is the ability for restaurants, bars and other various establishments holding a specific type of liquor license to be able to fill growlers. This is what got so many people excited. The widespread thought was that you’ll now be able to fill up a growler with any beer you see on tap. Portland’esque growler fills on every corner at every bar! All sounds great right? It could be, but it may take some time to get there. I know many popular bars have been getting asked regularly when they will start filling growlers. Many customers expected that bars would start filling right away, but the reality is that there are a lot of issues that need to be worked out before this can happen. I thought I’d help break down some of the issues that many of our local bars are considering right now. Let’s first start with how many bars make their money. Draft beer is normally the one of the biggest profit makers for most bars. Bars have a specific profit margin they try to hit with each keg and the markup is generally high. Normally the price per ounce of a draft beer at a bar will be much higher than the exact same beer in a bottle of can bought from a retail store. Bars and restaurants have much higher operating costs than liquor stores. All that food equipment, cooks, servers, food costs, etc., etc., add up and normally liquor, wine and beer is where bars and restaurants make their biggest profits from. Retail shops don’t have the same type of overhead. You buy your beer (can or bottle) and leave. The profit margin and hence markup is much less on beer at retail. So that is why a 10-12oz pour of Knee Deep Simtra will cost $10 at a bar, but you can buy a 22oz bottle at a retail shop for $12. Beer waste is also a major factor when filling growlers. When a faucet spews foam that is beer being loss. It is possible to fill a growler from a regular tap faucet, but there is normally a large amount of waste trying to get the entire growler filled with beer. Typically when filling a growler from a regular faucet there is a large amount of foam that starts to fill the headspace. As the beer gets closer to the top you have to tilt the growler to let that foam flow out in order to get beer all the way to the neck. The more foam, the more the bartender has to keep the faucet open and continue pouring until the growler is full. Wasted beer is money down the drain for bars. Current bars with draft systems have a few options. They can opt to fill with their current faucets and try to minimize waste, but even with the most careful pour in the cleanest growler there will be a greater amount of loss than pouring a regular pint. A second option is to invest in growler filling equipment. As the popularity of filling growlers has soared in the US (thanks to the thousands of brewpubs) there have been more than a few great inventions to help minimize beer loss when filling a growler. There are special faucets that control the beer flow and even fancy filling stations that purge your growler with CO2 before precisely filling it (Honolulu Beerworks will soon be getting one of these bad boys.) These awesome toys don’t come cheap, which may deter many bars from making the investment. So now lets take a look at growler fill pricing. If a bar wants to start filling growlers it has to first look at how it will price each beer. As mentioned above, bars have a much higher markup on draft beer than the exact same beer found at a retail shop. Lets take Maui Brewing Company’s Bikini Blonde Lager as an example. At your typical bar on Oahu a 16 ounce draft of Bikini Blonde will cost you about $7. If you wanted to fill a 64 ounce growler of the same beer at the same bar with the same price per ounce you’d be looking at a $28 price tag. Outrageous and you’d never fill your growler right? So, the bar wanting to fill growlers would have to lower their margins on the same beer to make the fill price more palatable. If they reduce the price by 25% (and hence taking a huge cut in their biggest profit maker), the price would now be $21 for 64 ounces. Seems better right? But is $21 for 64 ounces of beer a good deal? Not really if you look at the exact same beer sold in 6 pack cans for only $9.99. That’s 72 ounces of the exact same beer for less than half the price. But what about specialty one off kegs that you can’t find in bottles you may ask about? Good question and the same basic math applies. If a keg is rare and highly sought after, it normally costs a heck of a lot more than your regular everyday keg. Any bar that gets their hands on this wonderfully rare keg knows that they can easily sell every last drop in it at their bar to customers happy to sit and drink it right there. There’s a reason why many breweries and brewpubs don’t do growler fills of their most elusive and specialty beers. They don’t need to and it would be priced way too high for most people’s threshold. I’m sure there are some people willing to pay $50+ for a growler full of Habanero Sculpin or some other can’t find in bottle beer, but that isn’t a sustainable model for everyone to follow. I’m sure some bars will be happy to take your money for an expensive fill like this, but in the long run it won’t really grow the market much. There are a also slew of other issues current bars have to figure out before they can dive into filling growlers. Here are just a few: storage space for all of those big clunky glass growlers, cleaning and sanitizing growlers (a space and time issue), interruption of regular bar service (filling a growler takes a lot more time than filling a pint glass) and most importantly public safety. This last issue is something all good bar owners take very seriously. If you come into the bar, have 5 drinks, stumble to the bar and ask for a growler fill to go, should they serve you? A responsible owner won’t and those types of situations need to be thought through and policies put in place before starting this type of service. Whole Foods in Kahala and Kailua were the first to start filling growlers. Whole Foods heavily backed this bill and played a huge part in getting it passed. As a major corporation with stores across the country they already have experience in filling growlers in other states. Within a week or two of the passing of HB770, both Puka’s in Kahala and The Windward Bar in Kailua had shiny new growlers and pricing set. I posted Puka’s pricing menu on Facebook and many people were instantly excited, though there were a few who were actually shocked (and rightly so.) Most, if not all of the beers on draft can easily be found across the store in the bottle cooler for less than half the price of the growler fill. Simple math will show that you’re paying a lot more money (71% more) for less beer just to have it filled in a growler. Is it worth it? That’s up to you. This post isn’t meant to be a downer, but rather to help inform the general public about the challenges that your favorite bars are facing. There will be some bars that will eventually start filling growlers and I predict that the prices will be similar to Whole Foods. That still puts the price of a growler fill far above the equivalent beer in a bottle and it will be up to the consumer to decide if they are willing to pay such elevated prices for a fill. Many bars and most restaurants simply won’t ever get into it. It’s just not worth the trouble or expense to offer the service. In the growler capitol of the US, Portland, OR, there have been many specialized growler fill stores that have opened since a similar law passed there in 2013. These growler stores have a very different business model than your regular bar. Establishments like the regional chain The Growler Guys focus primarily on filling growlers and don’t serve food. As a result they can price their fills at a lower point. A 64 ounce fill of Maui Brewing Company’s Mana Wheat is priced at just $12 at The Growler Guys in Portland. Compare that to the $18 fill currently offered at Whole Foods Puka’s Bar in Kahala. Tags: Growler Law, News. Bookmark the permalink. But does the new law change anything regarding which growler you get filled where?? I haven bought a growler in years, but one of my last experiences was being denied a growler refill at Kona brewing because my growler was from Big island Brewhaus. Maybe it shouldn’t have been an issue, ever, but the dude working there was very insistent that that there was a law against filling a growler, unless it had the brewer’s name on it. Was this all BS??? I don’t think the law applies to the brand of growler. So theoretically a bar or brewery can fill any growler. It’s always been that way. That being said, the bar/brewery has the right to deny service to anyone. If their policy is to only fill their own branded growlers then that is completely acceptable. It’s their choice as a business. Congratulations and please let me commend you on giving the fairest and most informative beer info on the Growler Law. As an one owner operator amidst many I can assure you that the craft beer community has sat down and taken a square look at the issue of growlers and it has raised more questions than answers. The positive being that there are responsible owners and operators who want to sell you growlers but are looking at the issues of conformity and good service. It will happen. You have done an excellent job of providing the public with the real issues that face each operator. It is a true service to the public and this blog at this time will most likely serve as the definitive explanation of the issues faced by the craft beer servers. In the meantime it is the Wild West out there and each operator has to look out for his business model and his liabilities thus some may jump in and others may say its not worth the risk. There will be some conformity amidst the responsible owners and eventually a hui of combined bars respecting pricing and common growlers. But it will be up to each bar to proceed or defer from selling growlers. Respect them for their decisions they all have different conditions in their leases, insurance and business models. In the meantime a big shout out to Hawaii Lawmakers and Liquor Commissions for letting a good thing happen. 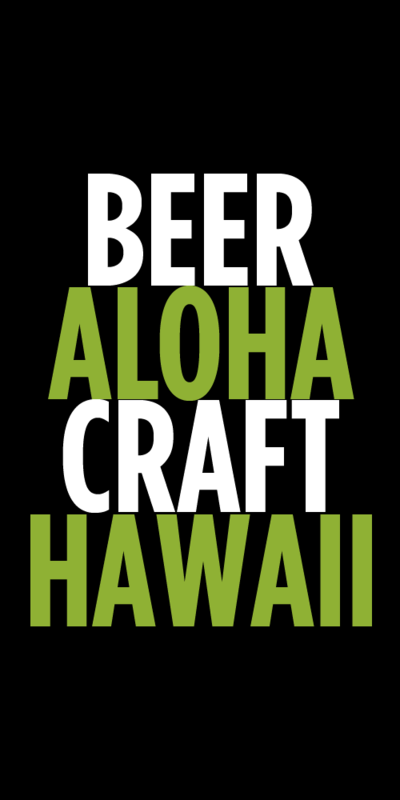 Be a responsible buyer of growlers and let other good things continue to happen in Hawaii’s Beer and Bar Industries. Many Mahalos for that and many Mahalos to you for shining a light on the new law. Aloha, and thanks for your thoughtful and well-researched post. For us as well as for beer enthusiasts, the most exciting aspect of growlers is that it opens up new options for off-premise enjoyment. Seasonal and limited release beers are often never bottled or canned, and it’s with those beers where growlers make the most sense – it’s the only way to take these beers home, plus at a significant discount over buying the same volume in single serves at the bar. With this in mind, we will continue to evolve our tap lineup to offer unique and hard to find options for our growler patrons – as well as for guests consuming on-site. Again, thanks for your insights and for letting us be part of the conversation. Hope to see you soon! Yes, growlers are a fantastic way to enjoy beer at home or off-premise. The major issue right now is figuring out correct and fair pricing. Many consumers had the impression that every bar in Hawaii would start filling growlers, but that is not something that is sustainable for the bar or the consumer because of simple economics – which is what I tried to spell out in this article. Charing consumers 70-80% higher prices for beer that they can get in cans/bottles is not a good thing. Beer is fresher and more stable in cans/bottles than in a growler and there is little incentive for someone to pay such inflated prices just to fill a growler of something that they can buy in a can/bottle. For specialty and seasonal beers that can’t be found in cans/bottles, filling a growler is a great option, if the pricing can be set at a fair level. If you do some comparative analysis of growler pricing in other areas of the country, the current pricing in Hawaii is completely out of whack. If the pricing here is too high it will deter consumers from using growlers and will ruin the opportunity created by the passage of this bill. How can a growler shop in Portland charge $12 for a Maui beer and the same beer cost $18 to fill right here in Hawaii? I hope every business owner looking into participating in growler fills takes a hard look at fair pricing. Don’t gouge consumers. In the long run, it will just turn people off from growlers. Many factors come in to play for a business owner when deciding to have growlers. I can’t imagine growler guys making much of a profit by selling 64 oz of beer at $12 (basically $3 a pint). Obviously labor is a major factor, not to mention the size of the business and then the cost of the beer itself. Hawaii is horrendous when it comes to beer pricing, but we are in the middle of the ocean right? Owners will not push to lower growler prices, they have to maintain their margins. If Hawaii’s beer prices are high, businesses have no choice but to charge what they have to. If it falls out of favor, then unfortunately the growler scene may just be a nice added novelty, instead of a profitable endeavor. Only time will tell, but as on the mainland, the people who brew the beers are the only ones who make good margins on growler fills. Still its nice to have the option, if consumers chose to pay it, it’s their choice. Additionally, growlers are normally sold at a lower cost than per pint, so the business filling them could be taking a hit on their profit margin. Yes, that’s basically what is stated in the post above.